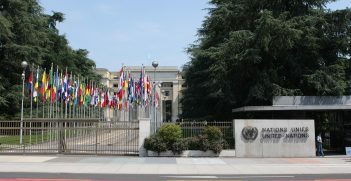 Trade negotiators in Geneva, the location of the World Trade Organisation (WTO), are becoming increasingly concerned about the international trading system’s incapacity to uphold the essentials of a fairer, universal multilateral system that isn’t limited to defending the privileged position of the great economic powers. They liken the work of the WTO with that of the United Nations, World Bank and International Monetary Fund but struggle to come to terms with the apparent decline in the functional capacity of the WTO of late. So what are the main reasons why the international trade order is in apparent breakdown? The main reason is the US decision that it will no longer accept any external judgment on US policies: for example, that its domestic subsidies are wrong, that its labour policies should conform with international norms, that it should recognise widely-accepted intellectual property protections, that it should contribute to international climate change programs along with other signatories to the Kyoto and Paris agreements, and that it should accept international species protection standards. Further, the US will not accept that national security should not be used s as an excuse for its failure to adopt international norms. In my own foreign service days in Washington in the early 1990s, the US was unwilling to accept restrictions on its chemical or biological trade in order to constrain weapons of mass destruction by adopting the Chemical Weapons Convention and the Biological Weapons Convention recently negotiated in the UN Conference on Disarmament in Geneva. The US Government lost that fight because US industry actually supported multilateral action on humanitarian as well as national security grounds. Many very substantial countries, like Brazil or Turkey, or Argentina, have a great deal at stake in working towards a system where rules apply to all countries equally. They make significant commitments to the multilateral agenda and to enforcing the rule of law in their own self-interest. The United States was briefly committed to working within the multilateral system, with President Obama ordering the repayment of all US arrears to the UN just before he stepped down. But current US policies have again become much more overtly anti-multilateral. For its own reasons, China cannot afford to go it alone internationally, and must adhere as much as it can to international laws. Although China sometimes attempts to get out of meeting its obligations fully, overall there was a global consensus that it’s better with China inside the tent, or half inside. Trade negotiators in Geneva have already tried to make progress on some new trade issues, including trade and the environment, government procurement and intellectual property rights. They have completed formal arrangements such as the Information Technology Agreement (ITA). These might not be perfect, and might not go far enough, but their existence is clear evidence that trade bureaucrats do not lack innovation or authority. There are also serious issues concerning the persistent US and UK avoidance of tax obligations, such as via tax havens. Highly selective and preferential bilateral investment treaties (BITs) and double taxation agreements (DTAs), which many countries pursue, hardly affect this increasingly loaded and distorted playing field. Generally, these agreements only selectively regulate already controlled areas of international transactions, and do not even attempt to reduce or eliminate discriminatory or quasi-legal behaviour such as tax evasion. This is why other groups with even less formal standing – such as the G20 – are virtually incapable of pursuing meaningful action against tax evasion. US Government spokespersons often frame these responses as legitimately defending American sovereignty; sometimes even using phony “national security” exemptions, as with the current US tariff “war” against China. Good work has been completed in recent years in the Organisation for Economic Cooperation and Development (OECD) in Paris, the bastion of developed countries, including its authoritative offshoots the International Energy Agency (IEA) and the Development Assistance Committee (DAC). 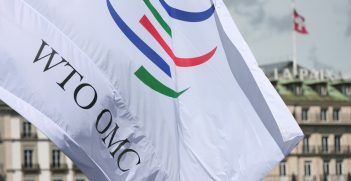 However it is important not to lose sight of the significant differences between a truly multilateral body, like the WTO, which possesses genuine law-making powers and is invested with the full authority of the United Nations, and an essentially voluntary body such as the OECD which is limited to worthwhile but non-mandatory codes of conduct (for example, against corruption), to “best endeavour” models (for example, on giving official development assistance) or purely hortatory goals (like the IEA’s energy policy prescriptions). It’s not just that OECD norms do not have the same force as WTO rules. Or that the WTO has become too “judicial”, as some Americans might claim. 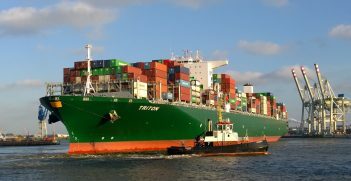 It’s not this view that is now undermining the WTO; it is the US insistence on its sovereign decision-making and its reluctance to submit to the WTO’s dispute settlement arrangements. The reality is that conservatives, either in Washington or in US states, will no longer accept any Geneva or UN judgements against US protectionist policies. Once upon a time, Australia’s trade negotiators in GATT, the predecessor of the WTO, were highly critical of US protectionism as being even worse than EU protectionism. It may be the case that it is politically unrealistic to expect the US to submit to international rules for labour policies or measures for dealing with corruption and climate change, in which case a WTO “scoping” exercise may be in order to allow some negotiations to begin. Its real purpose would be to agree on which areas could be not unreasonably “carved out” and what the US would have to yield on. 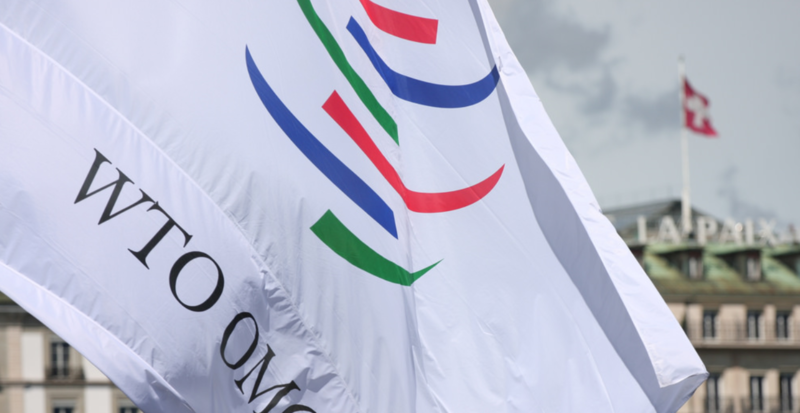 Without the WTO’s judicial process, we may be returning to the time, in the days of “power-based negotiations”, where nobody could force the US to stop unreasonable subsidies, and to eliminate unequal labour rules. Trevor Wilson is a Visiting Fellow at the Department of Political & Social Change of the Australian National University, Canberra.